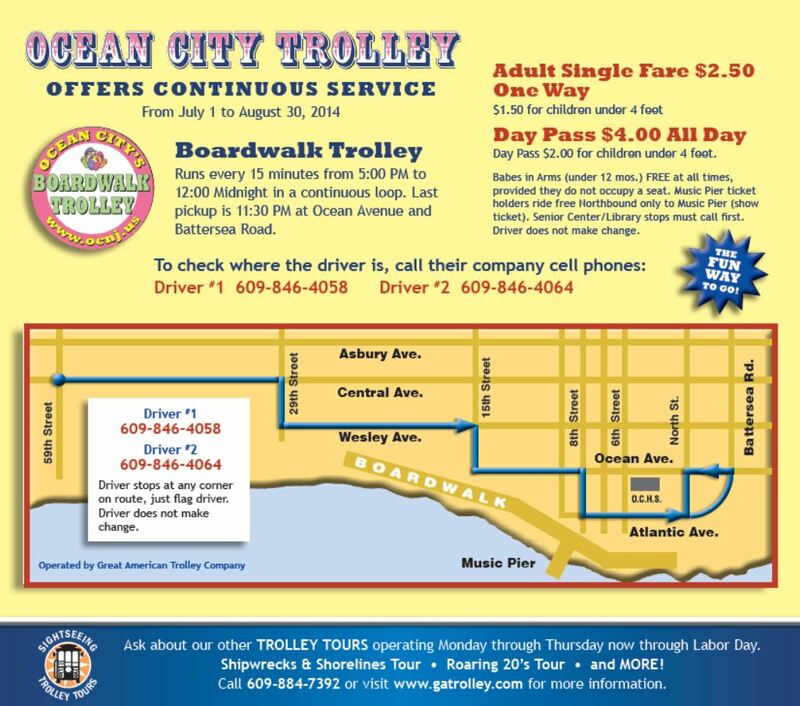 The seasonal Ocean City Trolley Service started July 1 and will operate through August 30. 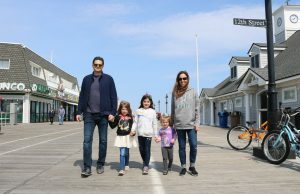 The service runs along the beach block of Ocean City from 59th Street to Battersea Road and provides easy access to the Ocean City Boardwalk and downtown shopping district without the hassles and cost of parking. Trolleys run in a continuous loop 15 minutes apart from 5 p.m. to midnight. Passengers can board at any corner along the route. Fares are $2.50 for adults and $1.50 for children (4 feet tall and under). Call 609-884-7392 for more information or visit gatrolley.com.